Recognizing that many people meet Heather Mehigan during times of significant personal and family turmoil, her legal insight and sincerity puts them at ease. A tireless advocate for her clients, she assesses the circumstances of each matter and then works collaboratively with all parties to affect the best possible resolution. Heather instills a sense of confidence in her clients, and opposing counsel respect her fair and firm efforts to achieve consensus. Her areas of focus include fiduciary litigation matters such as guardianship of adults and minors, elder law and trust and estate litigation. Heather has substantial experience in a full range of family law matters including complex issues related to business and property valuations, division of marital property and custody and visitation issues. A shareholder in the Commercial Litigation Department, her fine work and reputation led to her appointment as Co-Chair of the Family Law and Fiduciary practice group. Heather also assists families in unique and challenging circumstances regarding issues related to disabled adults and individuals suffering from mental health issues. In addition to her fiduciary and family law practice, she regularly advises social workers, nurses, psychologists and psychiatrists regarding personal and business issues. She has advised therapists regarding a range of legal issues including responding to subpoenas, best practices and Board complaints. 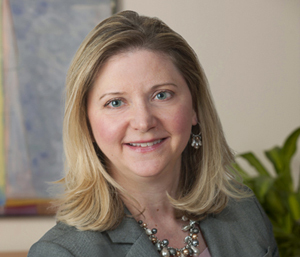 Prior to joining Shulman Rogers, Heather was a judicial law clerk to the Honorable Lenore R. Gelfman in the Circuit Court for Howard County, Maryland. She currently is chair of the Montgomery County Chapter of the Women’s Bar Association’s Judicial Selections Committee, and she previously served as an officer of the Montgomery County Women’s Bar Association. Heather’s long-standing service with CaringMatters has earned her a position on their Board of Trustees.